Beautiful South Grand Lake waterfront home for sale at Pelican Point, just outside Ketchum. This 3 bedroom, 2 bath home with 2,041 square feet of living area has been completely renovated with new kitchen, tile, stainless appliances, Brazilian walnut hardwoods, new carpet, fresh paint inside & out and even a new roof. 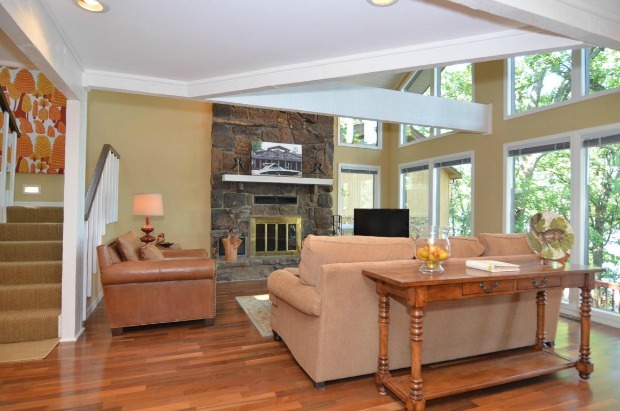 The home sits on 94′ of Grand Lake waterfront and includes an incredible 2-slip dock. Selling completely furnished, this is your chance at a beautiful turn-key home at Grand Lake. With lots of decking on the lake side of the home and plenty of room inside, this is a perfect home for entertaining friends and family at Grand Lake. The location just off Ketchum Cove provides great protection for your dock while being just a couple of minutes from the wide open water of South Grand Lake. And the location just 5 minutes from Ketchum provides you with easy access to area restaurants and conveniences located in Ketchum and Langley and along Duck Creek. 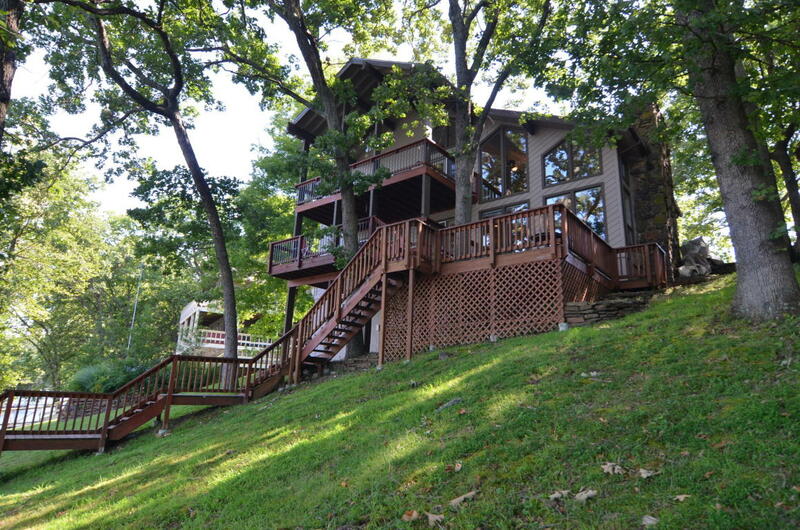 This is a great piece of Grand Lake real estate and is currently offered for sale at $565,000. Check out this Grand Lake beauty of a home HERE or go ahead and call Diana Patterson to schedule a showing at (918) 629-3717. Note – Property details have been gathered from MLS listing and have not been verified by GrandLakeLiving.com.